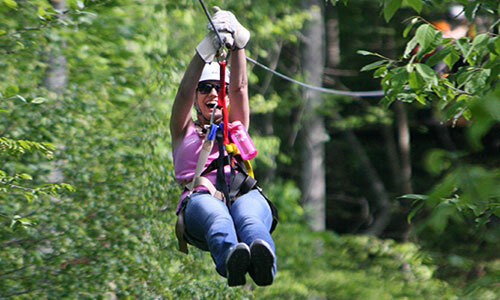 For your convenience we keep our Zipline calendar dates and times current. If a date is selected and it doesn’t have a time listed, it means we don’t tours scheduled for that day, however with a minimum purchase of four tickets we can schedule tours on any day by appointment. 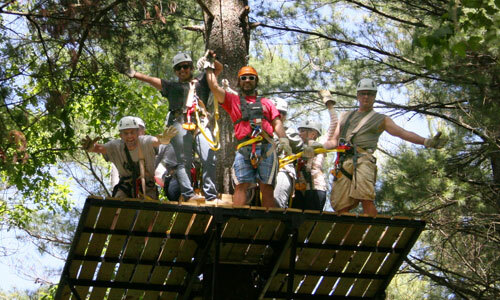 Zipline tours vary according to the time of year. Tours are offered on Saturday’s year- round and daily during summer months. During off-season, tours are limited and ticket purchases under the minimum requirement of four require calling for availability prior to booking. Tickets are required to be purchased in advance and if purchased within 24 hours of the tour date it is recommended to call for availability prior purchasing. Choose from a One-Hour Tour at $49.99 per ticket or the Two-Hour Tour at $89.99 per ticket. The Two-Hour Tour has over 6,000 feet of cable, 13 zips ranging from 250 feet to 1000 feet, and 3 sky bridges. 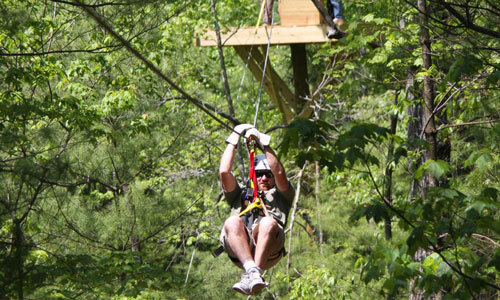 You’ll zip through treetops ranging from 25 to 75 feet high. The One-Hour Tour includes 7 zips and is a great course as well. You can’t go wrong with either! Featuring an amazing 35 and 75-foot tower you zip in and out of, 3 sky bridges, and over 6,000 feet of cable, this course allows participants to zip for over one mile through the beautiful Blue Ridge Mountains. No experience is necessary; however, all participants must be at least 10 years of age and between the weight of 70 to 250 pounds. Listed to the right are additional links for other general information you may want to know. 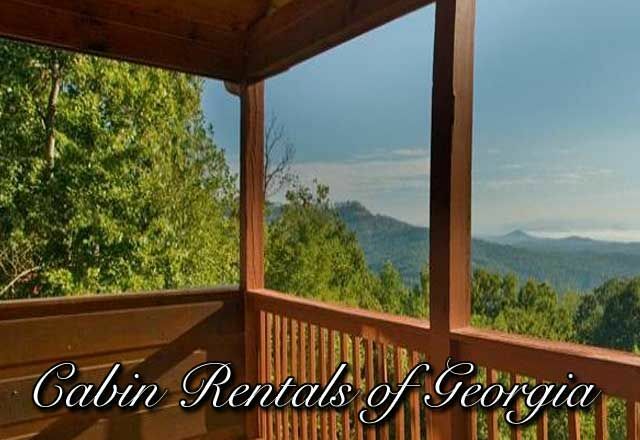 Ocoee Rafting is the oldest outfitter on the Ocoee River with decades of rafting experience. 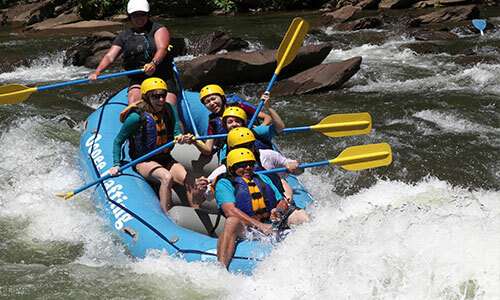 No experience is necessary to enjoy the adventure of whitewater rafting on the World Class Ocoee River. Tennessee state law requires all participants be at least 12 years of age or older. 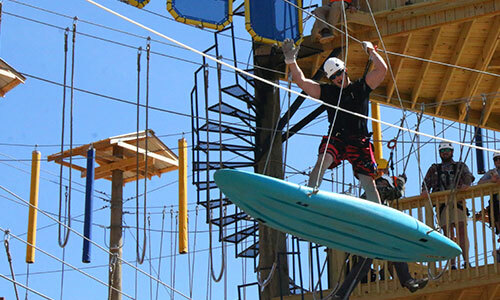 Book your whitewater adventure today!